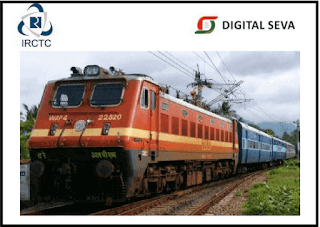 IRCTC Registration has been opened on Apnc CSC (Digital Seva Portal ) Vle's Who interested to become Indian Railway Ticket Agent, Vle's Should be Register their details on Degital seva portal at IRCTC Registration Folder.IRCTC Ticket Booking Service will be made available from Digital Seva Portal on 10th -Jul-2017. In this article we showing to Procedure for IRCTC Registration online through Digital Seva portal. After successful payment, the Payment receipt will be generated.